At HU Business School, we believe that academic contributions of international colleagues enable us to offer our students a different perspective on a certain topic and can herewith enhance/enrich the students’ learning experience. In addition, the collaboration with an international colleague is a source of inspiration for our own academic staff. 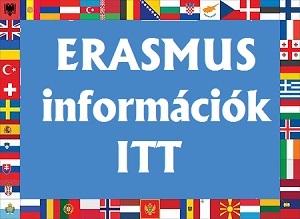 We are happy to share with you the specific requests we have received from our faculty for international contribution in their lessons for Bachelor students (within the framework of Erasmus+ staff exchange, if applicable). For details on the content and/or the tuning of the planning/content of the actual collaboration, we are looking forward to bringing the candidate-guest lecturer in contact with our home/host-teacher as soon as possible. If you would have a candidate/or interest in any other topic and/or for another period than stated below, please do not hesitate to contact us also; we are always happy to fit in incoming faculty in any of our (under)graduate programmes. Once a guest lecturer has agreed to come, we will ‘set up the programme’ (to meet Erasmus requirements). 'Intercultural Sensitivity' makes university and college students eager to learn about other cultures. It also makes them aware of the uniqueness of their own cultures, which they may take for granted. And it helps students recognize culture as a valuable resource. Through this course, the IBL graduate has insight into and knowledge of the importance of intercultural differences during various phases of the process of conducting international business and is able to project himself into various cultures in order to support the business processes within doing business internationally.